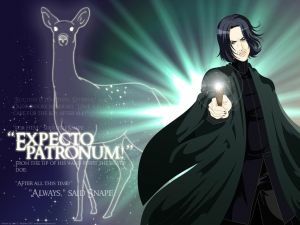 1: PS/SS | Expecto Patronum! As I think everybody knows by now, I received my Pottermore Welcome Email on Friday morning. So I’ve been inside, “exploring the site” (as the Pottermore team likes to put it), for the past three days. In the Great Hall, there are currently 99,841 104,326 112,423 117,288 126,669 131,622 139,639 142,235 students. I don’t think students start showing up in the statistics for the Great Hall until they arrive at Hogwarts and go through the Sorting Ceremony (PS/SS Chapter 7). So this means that at least significantly more than 100,000 welcome emails have already gone out and that about 14% of the early entry pool is now inside Pottermore. According to the Pottermore Insider from several days ago, Pottermore is going to be sending out more and more letters this week… and then take a pause. This means that we could see a large increase over the next few days. And that’s good news for anyone who is still waiting. Pottermore is being branded as an interactive reading experience, but I think it’s really more of a combination of a lot of different types of experiences. Currently, the site has “moments” from PS/SS. We see drawings of various memorable scenes from the book, and in many of these “moments” we are able to “collect” items or “unlock” reading material. To collect or unlock, we just need to move the mouse around until something highlights and then we click on the thing that highlights. Items I’ve “collected” include a number of potions ingredients, Chocolate Frog Cards, and even a few Galleons. It’s amazing how much junk students just leave lying around the castle! Occasionally, you have to accomplish a task in order to advance. For example, you can’t visit the shops in Diagon Alley to buy your school items (and get your wand!) until you find and collect your shopping list. You can’t move past Fluffy if you never cast the Alohomora spell to open the door to get to Fluffy. You can’t get past Quidditch until you catch the Golden Snitch. You can’t move into the final chamber until you’ve solved Snape’s Logic Puzzle. This is all a lot of fun. In fact, it’s a bit like JKR’s own website but with a bit more narrative structure… and without the sound. At the moment, Pottermore is dead silent. The reading experience is Pottermore is at its best – and at its worst. The worst is the repetitive canned content. Basically, every moment comes attached with a list of Characters and Places (and possibly Objects, Spells, and Creatures) that you can read about. Unfortunately, most of these are brief, uninformative, and repetitive. You really only need to read about the secondary characters one time because their information never expands. (I’m looking at you Gregory Goyle and Vincent Crabbe, Quidditch Team Members, and Argus Filch!). For major characters like the Trio, Dumbledore, Snape, McGonnagall, Draco, Hagrid, and Quirrell, you never really know until you click if you are going to get new content. Sometimes you do. Most of the time you don’t. I eventually got so tired of clicking on the exact same content that I finally ended up making all of the major characters “Favorites.” That way, I am, in effect, “collecting” their information for later reading. 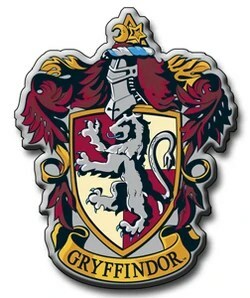 In order to avoid reader frustration, I personally think Pottermore needs to create some sort of icon to indicate new information that hasn’t appeared before. That way, the reader won’t have to click unless that icon appears. Right now, Pottermore does have a feather icon to indicate new JKR-exclusive content. But an additional icon for previously unread info about one of the characters could only help the experience. That said, the new and exclusive JKR content is AMAZING! For McGonnagall and Quirrell, you get a lot of new and exciting – and often heartbreaking – information. You unlock new JKR content about McGonnagall for the first time in Chapter 7 and for Quirrell in (I believe) Chapter 8. Much later, JKR provides even more information for each character. Pottermore doesn’t just offer new JKR info on characters, though. We get a lot of wandlore, straight from Ollivander himself (and I know how interested everybody is in getting, and learning about, their wand). And of course, we do get those House Histories. But to tell you the truth, some of the funniest new content comes in the most mundane packages. Do you think you want to unlock content with names like “Measurements” and “Clothing”? You probably already know that you get quizzed in order to select your wand and your House. Your wand selects you in Chapter 5, and the Sorting Hat places you into your Hogwarts House in Chapter 7. After reading about wand woods and cores, most people I know have concluded that they were chosen by the correct wand. Sorting is another matter entirely. 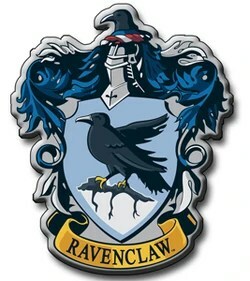 I have some friends who identified heavily with Slytherin but were sorted into Ravenclaw. 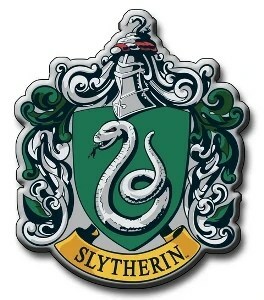 Others of us identified more with Ravenclaw but were sorted into Slytherin. I don’t think this is really a problem with the Sorting Hat. I think it’s more a problem with what the fandom thinks Ravenclaw and Slytherin are. The popular views of Ravenclaw and Slytherin are not exactly what we see in the actual House Histories. But more on that in another post. Regardless of what you think you are, the Sorting Hat will never admit a mistake, so this is your one chance to be sorted. And JKR stands behind her pool of questions. As far as I can tell, you will get the same wand questionnaire I got. You will not get the same Sorting questions. From what I have gathered, Pottermore has a database full of Sorting questions, and each question will be triggered by the previous answer. This is aimed at making each Sorting experience unique. You earn points for your House by brewing potions and engaging in Wizard Duels. Even though Duels are down right now, Potions are brewing all across Pottermore! Casting spells and brewing Potions are both very fun. But man! Potions really requires precision. If you’re not precise, you will quickly find yourself doing a Neville Longbottom… and melting or exploding your cauldron! Well, anyway, I think you can tell that I’m having fun. The site is not nearly as buggy as I expected. And now that I’ve gone through all the moments, there’s still competition for the House Cup to keep me busy. Plus, I have 6 5 4 3 2 Chocolate Frog Cards to find! Once again, I must apologize for not being present this week to comment on my own blog post! I have just reached that point in the semester when first papers need to go back to students. So I got caught in the “Non-Stop Grading Zone.” And believe me, grading essays is typically not much fun. So back to the topic at hand. We have had some lively discussion concerning Dumbledore’s lies to Harry at the end of PS/SS. And I personally have said everything about PS/SS that I’ve been dying to say. What have you been dying to say about PS/SS that we haven’t really covered? What would you have told Harry after he regained consciousness from the battle with Quirrellmort if you had been in Albus Dumbledore’s position? The Comments thread is open. But I’m also taking suggestions for “End of PS/SS” Guest Posts. Anybody game? When we move on to Chamber of Secrets (the book, not the Forum), I’ll do a quick read and post on random stuff that jumps out at me… and then go back and get into a bit more depth about the book. One thing that occurred to me this morning is that CoS is really the first book that digs into biographical detail concerning Tom Riddle. Of course, we already know from PS/SS that he was a Slytherin and that his diminished form resided in Albania before Quirrell found him. But there’s not much that we know about the man himself until we open Riddle’s Diary/Horcrux in CoS.
And now… what is it that you’re dying to say about PS/SS?